@Warthog Fan - That's obviously not supposed to happen. Do you have any 3rd-party antivirus installed? GWX Control Panel does NOT contain any malware or viruses, but there's possibility of a false positive with some anti-virus or security programs depending on their detection algorithms and signature databases. Also, the default installation folder on 64-bit Windows for GWX Control Panel (assuming you used the installer) is C:\Program Files (x86)\UltimateOutsider\GWX Control Panel. Are the files still there? And if so, are you able to launch GWX Control Panel and re-toggle Monitor Mode? I have always said no to any upgrade to W10, preferring to wait until all the bugs have been ironed out before upgrading. With Window Updates my setting is that I will select the updates I want. Last week on shutting down I received a message (the usual one) that my W7 was being updated and not to turn the comport off. An update not conveyed to me, yet alone selected. A few days later I got the Windows Screen "It's almost time for your upgrade" with no other option to opt out other than to extend the upgrade for a few days which I did to the maximum. In Control Panel > Windows Update the screen was "Your update to Windows 10 is ready" with the only option being to restart the computer. I immediately went to System Restore and restored the system to before the unselected update was installed which was described as a "Critical Update". I left doing anything for a few days to see what would happened,the W10 Upgrade was being shown on the Windows Update screen as optional. I then ran GWX Control Panel, the Option to upgrade had been removed from the Windows Update screen, the Task Bar Ikon had been removed and running Windows Update results in the message Windows is up to date. Suggestion for another way to move the GWX window when it's title bar s too high to click. (as mentioned in the FAQ section). 5) when the title bar is visible, press the "Enter" key to stop the move process. Well, I downloaded the stand-alone version of the GWX program and ran it. It seems like this did the trick. As part of boot-up, I get a window asking me if I want to run the GWX program and when I answer "Yes", it starts. I now have an icon on my desktop and the GWX icon in the System Tray. I do not have a GWX icon in the Start Menu, but if I type GWX at the bottom of the Start Menu, I see the program listed. I'm not sure why the Installer version of the program did not seem to work, but I've got the program running now and that's the bottom line. Thanks for a great utility...!!! @Bob - Thanks for the tip. @Warthog Fan - Do you have an antivirus running, and if so, what kind is it? (Still wondering if your install issue was related to a misbehaving antivirus.) Also that's interesting that you were asked whether to run GWX Control Panel after startup. Monitor Mode does not require admin permissions. 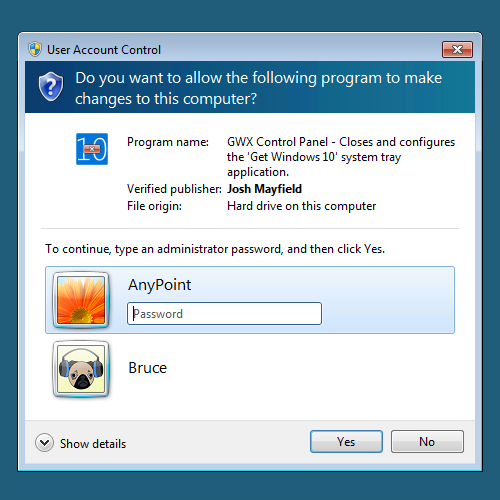 Did you by chance set your downloaded copy of GWX_control_panel to require admin permissions? As far as I know that's the only way Windows would ask you that for monitor mode on startup. Not harmful behavior (monitor mode doesn't change any settings), just unexpected. I am not a computer guru, but I read up on how to take control of the windows 10 "Virus." I removed everything from my computer related to Windows 10 upgrade including all folders, the GWX.exe and related GWX files. I also deleted GWX related stuff from the Registry. I downloaded this program next and ran it. It cannot find any Windows 10 files on my computer. I am hoping this program alerts me if Windows 10 ever attempt to control my computer again. Thanks for this neat software program. Just wanted to say thank you, this is the epitomy of useful! I have never installed anything GWX. I was looking to uninstall a "GWT" file, supposedly standing for get win. 10. It is not in my files, but a bunch of windows GWX files were downloaded to my computer on 11/25. I cannot tell how much space they take up, because the size of the files is not listed. I was looking for the 6gb files, but to no avail. I have uninstalled the kb3035583 file, but it keeps returning automatically even after re-booting. What is going on and what can I do? I do not want the win 10 pop-ups anymore, nor do I want win 10 to show up on my computer, but I think micrsft is messing with my computer anyway. I want to stay with win 7, doggonit. My Windows 8.1 started claiming I had reserved a copy of Windows 10 (I hadn't). I found this blog and decided to try GWX control panel. I used GWX control panel to disable the GWX app and disable OS updates in windows update. I then closed other windows and rebooted. WIndows (8.1) now does not boot. It just hangs. The windows is installed as a partition on a MacBook Pro. I can still boot into Mac OS which is how I can post this. Any ideas - for example, is it possible to boot into Windows safe mode using by holding some magic key combination on a MacBook Pro keyboard? Any other help short of re-install everything? @Donald B- Yikes, what a mess! None of the changes GWX Control Panel makes can result in problems like that, but it's possible Windows Update left things in an unfinished state (the KB3035583 thing is a real mess, because Microsoft has pushed several versions of it, one overwriting the next, and it doesn't uninstall cleanly anymore). As for recovery, I'm not a Mac owner, but on most Windows PCs you can bring up Windows recovery mode or safe mode by tapping the F8 key while your computer is powering up (the timing of when to hit F8 varies by computer, and computers with UEFI "bios" might not listen for F8, unfortunately). If you have Windows 8 boot media, there should be a repair option if you boot from the disc. Many thanks for your reply. I did try F8 during boot, but it didn't seem to result in a "safe mode". However, after an exceptionally looong time it did boot! Everything seems to be in order. The GWX icon is gone, kb3035583 is no longer in the "installed" list, and my option change to "check but ask..." in WindowsUpdate is in place. Baffling, but perhaps there was just delay while W8.1 was conferring with HQ. GWX control panel seems to have done its job - many thanks. @Donald B - Oh, that's good to hear! Sometimes installing/removing Windows Update patches can result in some additional activity upon the next Windows startup, so that may have been what was going on there. Glad to hear you're back up and running! Your GWX Control Panel is a Godsend! It is working perfectly on my Widows 7 machine. My PC shows the BT folder with about 3 GB. Most of the stuff is dated July or August 2015. If I decide that I want to upgrade to Win 10, but I want the latest release (as of now v1511 build 10586 I think) can I control this by deleting all of the BT folder and let it start over, or what? I have the 1511 media creation iso disk and an option is to go fro this. I may also want to wait until later for some future release. Any suggestions? @Twirlip - If you delete the ~BT folder (if it's only 3GB it's probably not complete anyway), then your best bet for installing the latest version of Win 10 would be to use their latest Media Creation tool when you're ready to proceed. I believe it uses the ~WS folder instead of the ~BT one. This is what I'll be doing, too, once I'm ready to upgrade... it's quicker and more predictable that way. Have you received any reports of V1.6.0.1 "Enable Monitor Mode" causing error 80244019 when manually checking for Windows Updates? Some attribute that error code to a virus [not found on my machine or others who had the same error and concern]. After I disabled "monitor mode" today, patch Tuesday, I was able to check for and download updates. This 80244019 seems to have started after I enabled monitor mode and after installing V1.6.0.1, I also noticed I was no longer "auto" checking for updates on boot up each morning. However, I was still getting the "updates are available" balloon. Trying to figure this all out. I'm from woody leonhard's site and have never installed any W10 adware "patches", never had any W10 adds, never been offered to reserve a copy, and upon running your GWX CP was completely clean. @studiophototrope - Hmm, this is strange- this morning one other person reported that same error code to me, and it was the first time I had ever heard of that symptom. Woody told me about you and I actually thought you were the same person who had already contacted me directly. None of the settings GWX Control Panel touches are supposed to have any effect on your ability to check for updates. And the "monitor mode" doesn't change any settings at all. It purely is just a read-only monitor. First, look at this article (there is a troubleshooter at the bottom). If that doesn't work, please try this one and let me know if that fixes it. Like I said, no one has ever reported this problem before, and I am really puzzled as to why I'd get two identical reports of it on the same day! Allow me to present an alternative...If GWC CP doesn't change any settings and is only a read-only monitor could MSFT now be detecting GWX CP causing the 80244019 error? There has been a lot of attention being paid to GWX CP lately and I believe that even on Woody's site we had a brief discussion about when MFT might try to disrupt it. I'll keep you posted as I investigate. The second "fix" you linked me to is way above my pay scale to attempt. Honestly, though, I'm half wondering whether this is really just an intermittent server issue on Microsoft's part due to the incredibly massive number of updates being pushed out around the globe at the moment. I'm wondering whether the problem will actually resolve itself in the next day or two. And for what it's worth, I have a Windows 7 test system with me here, and it just installed all of today's updates. Monitor Mode is enabled, and it didn't detect any reverted Windows 10 settings, which is a comfort. Love it so much I donated. This is the best thing I've ever found on the internet! Just donated $15 to GWX Control Panel, keep up the great work! I have one question about a recent Windows update for Windows Malicious Software Removal tool (KB890830). I noticed in November this KB listed an agreement prior to installing and don't remember it doing it prior - so I hid it until I could get more info. It just showed up again as a December update with same KB890830, including agreement prior to installing. Is this just something I didn't remember or is this a new agreement. Just concerned that agreement *might* be giving Microsoft permission to view certain third party progams (such as GWX Control Panel) as software it *deems* malacious. It even includes some detail about MS limited responsibility for third party software in the agreement. I may just be being paranoid with all the MS updates, withdrawals, reissues, lack of KB detail and push to Windows 10. Should I go ahead & install it? Uninstalled KB3035583 then HID KB3035583 the next time it showed up in the list of available updates and finally I get no more Win10 upgrade/update attempts nor changes to your control panel. Both my Win7 PCs were being reset to get Win10 after installing your vers 1.6.0.1 S/W until I made those changes about a week ago. 20+ updates this AM and no sign of Win10 nags. Thanks for your work. I also got an error code 80244019 when requesting an update check on one PC at the time I doing the uninstall and hide KB3035583, but this has ceased. @Dave N'Shicode - I haven't used the tool you mentioned, but from what I know of it, and from what people have told me, our programs have very different perspectives and approaches. One of my initial goals was to only make changes that could easily be reversed by the user without having to re-install any updates or even alter your default Windows Update settings. As time has gone on, Microsoft has stepped up their efforts, and I've also had to build up my own program's defenses. My next version will offer a more permanent solution for those that want it. 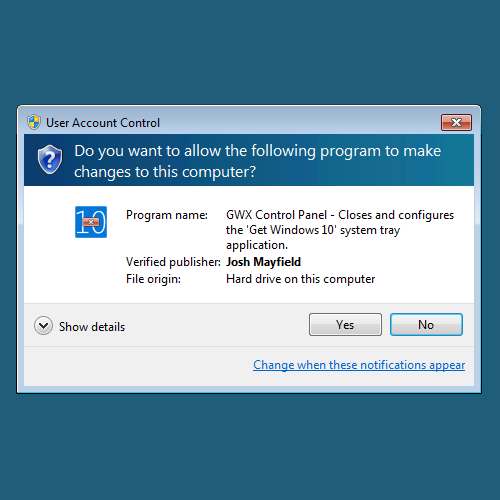 Other goals of GWX Control Panel were to not bundle any crapware, not include advertising, not collect or report user metrics, and to leave as light a footprint on the user's PC as possible. Use what works for you, though. @John G - Microsoft sometimes re-issues KB3035583, so stay alert. The next version of GWX Control Panel will offer another way to deal with that update. A number of people were getting that 80244019 error yesterday, but I think it was a temporary/intermittent problem with Microsoft's update servers. Hey, just wanted to post an uodate. I'm no longer getting the Update error 80244019. MSFT did resume their "auto update check" today without a problem, which had been mysteriously missing for the past 3-4 days. I've re-enabled "Monitor Mode" with no apparent issue. I think you were correct yesterday when you indicated this may have been a MSFT server issue. Really appreciate your help and input. Keep up the good work. I'll be checking back to read and learn from the exchanges in the comments section. Hey, you've helped a lot of people. MikeF before I found your program I uninstalled all KB's related to W 10. Deleted all registry entries related to these KB's. Deleted all files and folders related to W 10 including files and folders in users, windows/gwx bt, ws, sxs, catroot2 and software distribution. rebooted with no issues. installed GWX control panel and ran it. program can't find any W 10 download folders as should be the case. Monitor mode is enabled and running. The one issue I have is that it notes that some settings related to W 10 upgrades were found. Do you have an idea as to what settings it found? Maybe in the next release, you can specify which new KB's related to W 10 are being dealt with by the program. Great program. I told a friend about it. he was really po'd by the nags and the worry that his win 7 would someday be automatically updated to w 10 without any input by him. After installing he was a very happy camper. Thanks again. @Mike F - The "Save Diagnostic Info" feature (available from the program's system menu) includes some flags that can indicate exactly which settings triggered that alert. (If you tell me the code I can tell you which settings they refer to.) In some cases the ABSENCE of a setting can trigger the alert as well. This is the most likely cause in your case. Probably the DisableOSUpgrades reg value, which is not set by default in a fresh copy of Windows. At some point I'm going to make the diagnostic info more human readable. Don't know whether it will be in the upcoming release or not. Thanks for this excellent program, which has been working like a charm. I'm running the latest version and have it set in monitor mode. This morning it alerted me with a change: "Are Windows Update OS upgrades enabled" is now set to "Yes" (everything else remains "No or (not found)".) I click on the Disable button and reboot, but the system (and the alert) remains the same. I am guessing it has something to do with the latest Windows updates this week...? @Lawrence - Several people have reported similar behavior and I have plans for the next update to help prevent Windows from flipping things back on you. But for research purposes I'd like to know exactly which Windows setting(s) is changing. Would you please use the "Save Diagnostic Info" feature and send your report to me? See the "Using Monitor Mode" or "System Menu Options" sections of the user guide for how to save the report. Thanks! Just now I had a Windows Defender update of 144K attempt to enable the Windows 10 update. Is there any way to enable automatic correction of the state since Micorsoft is getting more aggressive about forcing the change? I don't want to have an overnight update a choice that I have made for the system and my non-admin users. @Do - The upcoming version will be able to prevent some (most?) of these unwanted settings reversions; keep most of them from occurring in the first place. The ability to automatically correct reversions would require admin privileges (or running as a service) in addition to some more robust configuration abilities for me to be comfortable with it. It's not out of the question (and is something I've considered) but if I do it, it will be some time after the next update I have planned. Still not getting unwanted GWX Control Panel settings reversions even after Win Defender update this AM and 20+ other recent Win7 & Office updates.... after I uninstalled KB3035583 then HID KB3035583 the next time it showed up in the list of available updates......per my 12/9 post. Dear Ultimate Outsider, thank you for the grat tool I found yesterday in the intenet at least. It could switch off the last windows key that I didn't find before. So far so good. I also deleted the update cache with your tool and restarted windows 7 ultimate. After opening "windows update" it showed to me in German and red colored "Windows 10 could not be installed - unknown error...". I have to state, that I unfortunately tryed once to upgrade to windows 10. But the process failed because my old graphics card is no more supported by the new system. After several blue screens the good old windows 7 reappeared well again. I switched off manually every update toggle I could find and of course deinstalled KB3035583 and KB2952664. But every time I start windows update I get remembered of the aborted windows 10 upgrade. Do you know where microsoft is hiding that information, even after I ran your update cache deleter? GWX Control Panel settings reversions.......google "hide and unhide Windows updates"
to see the simple procedure. OMG you are awesome! Microsoft must hate you as much as we love you! Rock on and Happy Holidays!! @Werkversuch/Juergen - I'm not sure that I've personally seen the specific symptoms you're seeing, but I wanted to ask: Have you tried the "Disable OS Upgrades in Windows Update" feature of GWX Control Panel? That does clean up some Windows 10 upgrade-related stuff, and is supposed to fix problems like you're seeing. If you have indeed used "Disable OS Upgrades" and "Clear Windows Update Cache", it sounds like something outside of Windows Update is happening; some part of the actual Windows 10 installation. 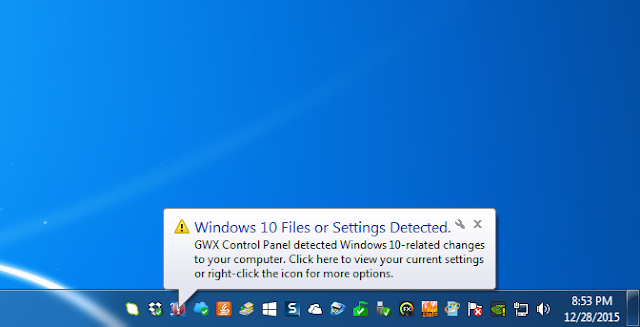 QUESTION: Does GWX Control Panel detect any Windows 10 download folders on your PC? (And which ones, the ~BT or ~WS folder?) If so, I wonder (but am not sure) if deleting those folders will stop this behavior? SUGGESTION: Have you ever used the free tool CCleaner? It has a feature under Tools > Startup where you can disable programs and tasks that start up with Windows. I'm curious whether you see any suspicious entries there that might account for the constant reminders you're seeing. @John G & @Fogmoose - Thanks to both of you! "This update enables support for additional upgrade scenarios from Windows 7 to Windows 10, and provides a smoother experience when you have to retry an operating system upgrade because of certain failure conditions. This update also improves the ability of Microsoft to monitor the quality of the upgrade experience". Is this update perhaps being blocked by GWX CP - if so, should I just hide it? Doesn't seem to be the sort of thing I'd want! Just installed the latest version of your great program on a PC running Windows 7, from a standard user account, inputting the admin password when requested. All other programs were closed. Clicking on the "Display the User Guide" button immediately afterwards opened my Firefox browser automatically. So far, so good. But most of my bookmarks had gone and only a few remained. Panic! Closed the browser, reopened it and the usual ones were all there again. Relief! Later realised that the bookmarks I had first seen looked familiar - they were the bookmarks that I have if I'd logged on using the admin account. Closing the browser and reopening shows the user account bookmarks again. No big deal but not good for the heart! @Iain - GWX Control Panel does not block or otherwise interfere with any Windows updates. It only enables/disables specific settings that affect whether you get notifications or other unwanted behavior related to Windows 10. Microsoft has actually developed a number of automatic troubleshooters that fix different kinds of Windows Update problems. There's also a popular third-party tool that many people swear by (I haven't used it) for fixing general Windows Update problems, at Tweaking.com called "Windows Repair Free." @Chris - I've had a handful of people report this unexpected behavior of having to type in a password in order to run the program. GWX Control Panel does not require admin permissions in order to run; only if you use one of its features that changes system settings. Can you confirm that you're running on a "limited" user account? That's something I don't think I've experimented with, and I wonder if it's the reason some users are seeing this behavior. Glad you figured out the bookmarks thing... but I do not yet understand why it was running with admin permissions to begin with. Yes. I installed it and ran it from a "limited user" account. Just tried to run it again and again it asked for an admin password. The usual "Do you want to allow this program to make changes to your computer?" box. FYI, Micros**t has a new nag screen when I sign out of Hotmail. A blue square comes up with "Microsoft recommends upgrading to Windows 10." I managed to install kb 3112343 by downloading it manually without problems and this update didn't seem to affect GWX Control Panel's blocking of W10 installation - I had feared that it might. Thanks again for a useful utility - I'll be buying you a virtual beer shortly! Ultimate Outsider, It appears to me that you don't hide KB3035583 since you are working towards offsetting issues it causes to users not wanting Win10 at this time. Noted before, I hid KB3035583 and I still get other updates, and your program does a wonderful job of keeping Win10 upgrade from bugging me. But I wonder is there any reason why I should not have hid KB3035583? Simply hiding that KB after installing your neat S/W has totally stopped Win10 upgrade activity on my two PCs. I am curious though... if you hid the original KB3035583 update from back in June or July, would that protect you from getting the various re-issues Microsoft has pushed of that update, or do you have to keep re-hiding it whenever they publish a new one? I'm quite surprised that MS proposes me W10 : I've only got 5Gb of free space on my disk ! Not enough for W10. Can't they check that ? @Mark - Oh yeah. They wanted to upgrade my Dell Venue Pro tablet (only 32GB total storage, less than 5GB free) to Windows 10 as well, hah! Ultimate Outsider My Win7 PCs are set up to tell me of available Win & Office updates, but not download and install them until I authorize that. I learned of your program from Susan Bradley's column in Windows Secrets - 26 Nov issue. Thus that's when I installed your GWX Control Panel. 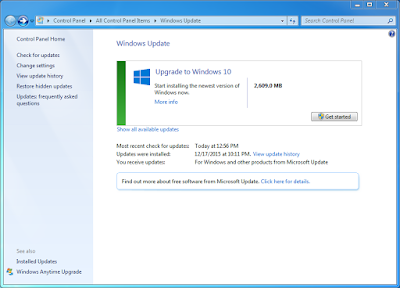 Another blog (I now can't find) also recommended deleting KB3035583 from the list of installed updates. During the days following installing GWX Control Panel and uninstalling KB3035583 , both my Win7 PCs were modified by something Microsoft initiated. The GWX "blue 10" icon warned me there were changes, and sure enough the GWX Control Panel showed settings reversions. 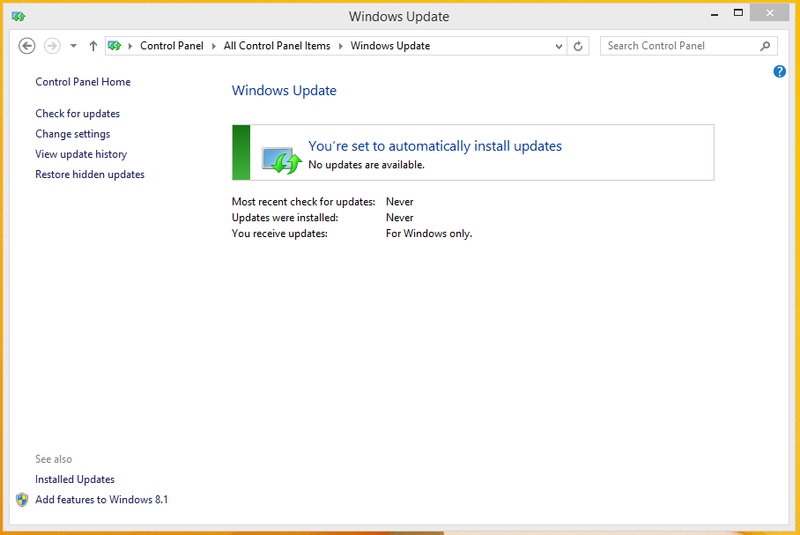 And KB3035583 popped back onto the list of recommended updates (with a check mark to perform the install). I then, about 2 weeks ago, decided to "hide" KB3035583 to keep Microsoft from putting it back into their list of recommended updates. Since that time, I allowed more than 20 Win7, Office & Win Defender updates, but had NO GWX Control Panel settings reversions. Though 2 weeks is a relatively short time period, other GWX Control Panel users have complained about settings reversions, but I have had none. And I have not had to re- hide KB3035583. Ultimate Outsider, re: "the various re-issues Microsoft has pushed of" KB3035583..
@John G - You would think it worked like that, but KB3035583 is a special case. As I mentioned, I don't block or hide or uninstall Windows updates; I install them all. KB3035583 will re-install every time Microsoft re-issues it (the re-issues are actually updates with new binary versions and timestamps, etc). And it has a really nasty side-effect as a result: If a new version installs on top of an existing version, you can no longer fully uninstall that patch. Using the uninstaller for KB3035583 once more than one version has successfully installed will simply roll you back to the version you had before, still fully functional/active. It's pretty bad. But this is why I was wondering if hiding once protects you from all the future re-issues. I just don't know since I've never hidden an update. Just so there's no confusion --- this doesn't disable regular automatic updates for my current operating system (WIn7) --- is that correct? Thanks. @Bud - That's right; GWX Control Panel does not alter your Windows Update preferences or interfere with your ability to download updates. I am actually renaming that feature in the next version of the program to reduce confusion. I have a problem with windows update that has occurred since installing GWX. I have my windows update set to download but not install. So I go in once a month, do system image then let the updates roll. @Spokey - GWX Control Panel doesn't touch any Windows Update settings except for a few that are directly related to Windows 10. I have heard one other report of someone who is not configured to automatically install updates that recently got updates by surprise as well. I don't know what's going on there, but it's not related to my program. Might want to try changing to a different setting (like "never check for updates") and then restart Windows, and then change it back to "Download updates but let me choose whether to install them" and see if that sticks. MS has pushed several updates to Windows Update itself over the past few months, and I wonder if some peoples' settings are just getting screwed up over time. Any chance of getting command line ability to run silently with pre-set options already selected? This way it can be dispatched to all workstations. @Dean - That's probably the most common feature request I receive. It will probably happen, but not in the release I'm currently working on. Unlike the normal(UI) mode, which only requests permissions when needed, a silent/command-line mode would have to be launched with admin privileges in order to do its thing. So as long as the user account and/or IT infrastructure was correct, it should be feasible. This AM, both my Win7 PCs were notified to download an important KB: KB3035583; which was previously deleted and hid two weeks ago. I re-hid KB3035583 and then deleted KB2952664 on both PCs. Interestingly, checking for missing updates after that I got two different responses: On the PC w/ 160MB of BT folder installed, the response was "an important update is needed" (KB2952664); while on the PC with no BT (or WS) folders, the response was: "an optional update" (KB2952664)is recommended. I subsequently hid KB2952664 on both PCs. Now re: hidden KBs; I would think that even though MS does/did reissue KB3035583 and perhaps does change the binaries for various reasons (eg for betterment, fixes etc), when I unhide that KB I'll get a cumulative version downloaded and won't have to worry about the original/previous versions. Many laptops are off for months and would not necessarily have original or any KB3035583 versions. I don't believe MS would go to the trouble to download the various versions of KB3035583 onto a machine that was offline for a long period of time. @John G - Yeah, used to be that configuring Windows Update for automatic downloads was the equivalent of locking your doors at night, but in some sense now it's the equivalent of leaving them wide open. You don't know what you're gonna wake up to in the morning. FWIW, same here, KB3035583 reappeared even though previously hidden. It says "Published 12/15/2015"
Does GWX Control Panel block the "updates" to Windows 7 and 8 that cause the OS to send some sort of reports to Microsoft using ipsec? Nobody seems to know what the data being sent to Microsoft is, and they employ a host of web addresses to sent it to. @Chris - GWX Control Panel doesn't block any updates (although that's under consideration for a future release), however the next version I put out will actually neutralize some Windows 10-related processes if they make it onto your computer, which will stop most (all?) of that nonsense. The only way to truly block these things right now is to put Windows Update into "download and notify" mode and only install updates you know aren't going to give you more Windows 10 garbage. I feel a bit sad that Microsoft is pushing an upgrade so intensely like this, while I have not seen that kind of notifications for El Capitan. Those nagging tactics just makes me want to stay with Windows 7. The only thing that keeps me from dropping Windows is 3ds Max, which does not have native Mac support yet. has had happen to them what has to me. I may be wrong it has been known to happen, though not often(please note the sarcasm) at this point laughter is all I have, I have been so angry at MS that I am past being mad anymore(hope that makes sense) anyhow thank you again for this program I do not have a facebook page to contact so if you would like more info pls let me know how to get it to you. google thing works and where replys go (gmail? or my outlook mail) sorry. I will check back here I guess for now. Yes, KB3035583 reappeared this morning and tried to install, despite being hidden - i've hidden it again. I had returned Windows Updates to the default "automatic download and install" - BIG MISTAKE - so have reverted to "check for updates but let me choose whether to download and install them". I would probably download W10 were it not that I have two computers that I'm pretty sure won't cope with it because the drivers I need are not available. This AM got a GWX Control Panel setting reversion after yesterday uninstalling and hiding KB2952664 (KB3035583 had been uninstalled and hidden previously)...The revision allowed for "OS upgrades in Windows Update". Reset GWX Control Panel to disallow the OS Upgrade. Happened on both Win7 Home & Pro PCs. So apparently, something other than KB2952664 & KB3035583 is still lurking within to initiate the upgrade process. Ultimate Outsider: This morning, "Make Use Of" recommends (A) using your GWX Display Panel, setting registry value DisableGWX to 1, and (B) "Take Control Over GWX Folder in System 32"..by changing write permissions. "Briefly, open File Explorer, head to C:\Windows\System32, find the GWX folder, take ownership, delete everything in it, and Deny any users all of the security settings. Restart your computer and be done." I've previously done (A)as well as uninstalling KB2952664 & KB303558, but would like to know your position on item (B). Thx. MS delivered KB3035883 again today (Dec 18 2015). The Dec 11 version of the GWX Control Panel caught it...thanks. Anyway to be notified when the next GWX Control panel is released? Re: "So apparently, something other than KB2952664 & KB3035583 is still lurking within to initiate the upgrade process". NOPE!!! Rechecked my installed KBs and there they both were this AM even though they were previously uninstalled and hidden, AND updates are not to be installed unless I allow that. So, now MS has even clobbered their own rules. Maybe it's time to refuse ALL updates and periodically review the list for reasonable security updates...Wonder if MS will override that as well???? Suddenly Josh, Windows has started to re-enable my settings (3 times today)and I've had to manually change them back..... what is it with this company, can't they just accept that some of us don't want windows 10. It's my computer, which cost me good money and I'm starting to seriously resent them pushing this down our throats. I am starting to really think about a mac for next one. MS is really making me resent them to the point of a good bye tantrum, maybe when they lose millions of people they will understand and wake up, I really can't believe what they are doing, as it bricked this computer once already and they are trying there asses off to brick me again, I had to bring it to them twice already to fix it as I am not that experienced to do myself, I know a little and took ALL precautions I could. yet they still bricked it , 40 miles ea direction. if this happens again im done with them. time and aggravation alone makes me nuts then add the hijack factor, and they STILL persist like a mosquito in the summer NO THANKS MS.
on a brighter note GWX Control Panel is doing great for the first 18 hours or so. yet still they are sending the same updates over and over like ww2 bombers. this really is insane. 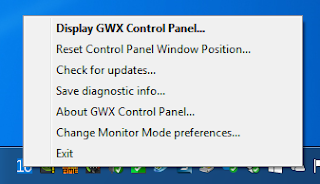 "There’s a GWX Control Panel feature called “Save Diagnostic Info” in the system menu (click the little icon in the upper-right of the program window, or right-click the Monitor Mode icon). If you use “Save Diagnostic Info” while GWX Control Panel is still telling you that settings are enabled, the report includes some information that indicates which specific settings are found (or missing) that might leave you vulnerable to Windows 10. The most important field there is “UpgradeFlags.” In version 1.6, the report just gives you a single hexadecimal value that means something to me, but no one else. Version 1.7 (work in progress) actually tells you exactly what GWX Control Panel found in human-readable format. I’ve determined that this is actually not cause for concern, and in fact, version 1.7 will no longer warn you about that setting. Basically it’s a Windows Update setting that I had observed getting set during actual Windows 10 upgrade attempts… when it changes along with a few other things it IS a bad sign. But if it is the ONLY thing that changes (code 0x00000010), that appears to be safe, and you can ignore that alarm." Thanks for this fantastic little program. The annoying upgrade icon managed to weasel it's way back onto my 8.1 machine again - I've uninstalled and hidden the update several times. Hopefully this ridiculous garbage will stop now. The funny thing is that I may still decide to upgrade but I just hate the way Microsoft is trying to push Windows 10 so hard on everyone. Anyway, thanks again for the GWX Control Panel. I plan to share with with a few friends who have had the same issues with the upgrade push. Following yet again the Windows update OS upgrades keep getting enabled (4th time in less than 24 hours), I've copied and pasted the diagnostic info as follows…. I'm hoping that the most important field “upgrade flags” shown above confirms that all is still well (your post above says … Upgrade Flags=0x00000010 and not 0x00000001 which I hope indicates a typing error and nothing more sinister). Looking forward to version 1.7 and have to thank you again for your dedication and efforts. Love the GWX Control Panel - THANK YOU! Suggestion: Could you add the version of GWX to the Control Panel window? I cannot easily figure out if I am up to date. Many thanks for the tool that helps me to salvage my clients computers that show that MS wants us all on Windows 10 - now! A great tool to place MS back in the low regions of good support to their past clients for "Windows"
Why would MS resort top these simple and primitive market methods? I would suggest we all go back to Apple and Linux, for MS lost it when they sanctioned their own plot for "futures"! @Peter - Okay, you're seeing the AllowOSUpgrades switch flip back, and that's actually the doing of recent versions of the KB3035583 update. Hang tight, I'll have a fix for that soon. @Bill - While I do have plans for enhancements to the GWX Control Panel upgrade process, you can see the program's version by clicking the icon in the upper-left corner of the GWX Control Panel window to bring up the system menu, and then clicking "Check For Updates." This will tell you your current version and let you open my downloads page to see if something newer is available. @Wings - Thanks for your support. Microsoft is just gearing up to compete with Facebook, Google, Samsung, and Apple on different fronts and Windows 10 is their platform for getting there. Like with those other companies, Microsoft's customers are becoming part of the product. @cnl - I don't think I've seen any new suspicious behavior from that particular update. It's an update for Windows Update itself, which does of course play a large role in the Windows 10 upgrade process, but here on my test systems, I didn't see anything new after installing that one. Recent versions of KB3035583 seem to be the biggest offender, but there may be others I haven't pinpointed yet. since i've hidden KB3035583 how is it showing up again to install?m are they (M$) somehow countermanding my hiding it? @cnl - I will be writing this up more formally soon (next week maybe?) but here's the thing with KB3035583- every time MS pushes a new version you have to re-hide the new version. It has the same name, but Windows treats each re-issue like a new update. Top tip.... Didn't realise you had to keep "swatting" the same fly (KB3035583). Just found December 18th's.... Splat! Installed ver 1.5 in early Nov & since then, every time I reboot, it takes several minutes for my desktop to appear. Until it does, all I get is the mouse pointer & colored background. Safe mode is the same except I get a black background.I don't remember what I changed with GWX, so I'm a bit reluctant to start pushing buttons. Any suggestions? Also, maybe in a future version you can include a "revert to original settings" button or "default settings for your computer" button. I'm mentally preparing to reinstall my OS (non-destructive). Has anyone tested this in a domain environment? (or I should say it asked) that came with it or I no longer could find (lost # for outlook 2010) and then drivers gone etc etc. then BSOD then fading to black. NO WAY. if that happens I don't now what to do. they really know how to screw it up. Is it okay to put this info on Care 2 so that other members can see this programme. @Ken - That should be fine. Pass it on! I had a $20 question so I donated $20 (Confirmation number: 7WR192727S109841X)before asking. However, I just now stumbled onto the answer from a November 29 comment as I was about to link to the newest comment, from today. I had a red, flashing GWX tray icon and GWX showed that OS Upgrades were enabled. I clicked the "Disable Operating System Upgrade..." button and rebooted, but the flashing icon and Enabled status remained after reboot. I then read that "Restart Monitor Mode" might resolve the issue, and it did. Kudos! Let's see how v1.7 goes (I keep expecting Microsoft to squish GWX Control Panel, like a bug...) and I'll start donating on a monthly basis. Great work, Josh! invaluable to me. so far working flawless I TRUST it will continue to do so. I have misplaced some of time/priority's. I will hit the donate box very soon, hopefully later today/night. PC, it has given me back a feeling most of us prob had 20-25 years ago, that sense of people helping others (strangers) and not the me me me "you can't do that it offends me" attitude of today. Merry Christmas Sir, and a HAPPY HEALTHY NEW YEAR for you and your family. Posted on Care 2 . This is the Link to the Story below. Hoping the link works and takes you to it . @bigjoet - You are right about the trust issue. Windows Update can no longer be trusted to protect your computer, unfortunately. In fact the next version of my program will notify you if you're configured to automatically install Windows updates. At least if you set it for "download only" or "check for updates only" you can pick and choose which updates you want to install. @Ken - Thanks for the link! I just changed my Windows Update settings to only notify me when updates are available and that I will decide when to download and install them. The problem with the Windows OS upgrade toggling on in GWX control panel after turning it off appears to have stopped. I was having the toggle coming on just about every time I looked at the control panel after turning if off. Just stop by to say that it worked smooth and great. Downloaded the stand-alone file have run it and voila...all back to normal. Now I can update W7 without that annoying Get W10 upgrade. Thanx a lot for that, worked like magic. @Jaywalker - Glad I could help! So this tool fixed it withing seconds! Thanks one more time! Looking forward to the next vesion. @Yoshimizu - I'm glad the tool worked for you. And yes, Microsoft is definitely pushing Windows 10 programs using a number of different Windows Update patches, and sometimes even re-installing patches you already have installed on your computer. Disabling "automatically install" in the Windows Update control panel is the only way to truly protect yourself. The next version of my program will notify you if Microsoft changes your Windows Update settings to automatically install (because some people have had that happen to them recently). display mode, all of my Desktop icons were gone, and I couldn't find Windows Explorer in All Programs Accessories. selections again, re-started and everything was OK. This may be a duplicate comment...I'm not sure. Please delete it if so. "Error" means it was not suppose to be there (something got added). @Todd - Did that error show up after using "Delete Windows 10 Program Files" in version 1.7 in GWX Control Panel? If so, that's because we removed the GWXTriggers tasks as part of that operation (that path that you posted is exactly where they reside). I think the error just means it was looking for those tasks and they're not there anymore. > @Todd - Did that error show up after using "Delete Windows 10 Program Files" in version 1.7 in GWX Control Panel? I download script is still catching the latest version at 1.6.0.1. I will have to troubleshoot the issue. @Todd - I double-checked my server and all files are 1.7.0.2 (except for the beta versions which are 1.7.0.0, but those aren't accessible from the downloads page). Are you pulling from a different place? > @Todd - I double-checked my server and all files are 1.7.0.2 (except for the beta versions which are 1.7.0.0, but those aren't accessible from the downloads page). Are you pulling from a different place? Show me thinking the latest version is 1.0.0.0, so that does sound like I am doing a bad sort. I installed the new version , do I need to uninstall the older version , Thanks. @Ken - If you used the GwxControlPanelSetup installer, then no- it replaces your old version with the new one. And Happy New Year to you too! Hi. What a great program you've created. Thank you for your work and efforts. I have been using the stand alone version for about a month now and decided to upgrade to the newest version: 1.7.0.2. I used to go to that page with the older 1.6.0.(?) version but shouldn't this newer version, 1.7.0.2, take me to the new version 1.7 User Guide? The older stand alone version 1.7.0.1 also took me to that link I posted above. Now, I too would like to donate some money, but I'm on a fixed and limited income so that is not possible. What might be possible is I received a $25 Amazon.com Gift card for Christmas. If there's a way to donate that, I gladly will do so. @Steve - You're a sweetheart, but I want you to hang on to that Amazon gift card. You're right about the "Display user guide" button. The blog platform I use is surprisingly archaic, and I had to compose the new user guide in a separate post for some dumb technical reasons. Sometime this weekend I will update the original user guide (the one the program still links to) so that it's up-to-date with 1.7. I apologize for the confusion; I'm hoping to get all the documentation stuff squared away before I have to go back to work on Monday. I uninstalled an earlier version of GWX Control Panel (one that did not succeed in blocking the Windows 10 ads), and installed version 1.7.0.2. However, the ads continue to appear at least once daily. 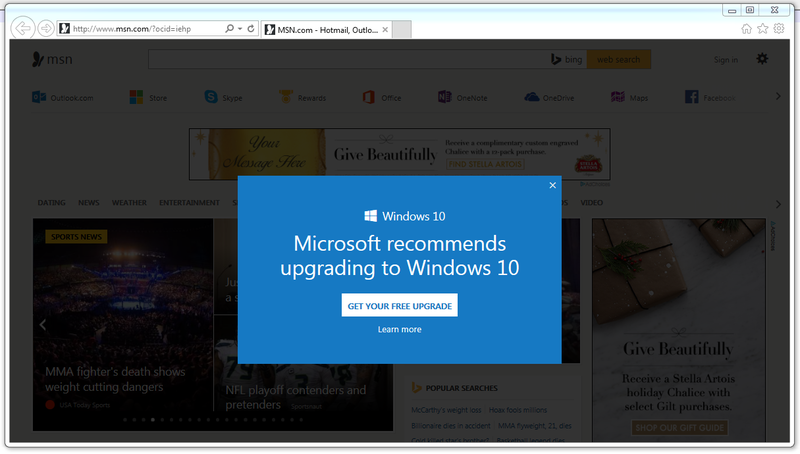 The ads say, "Windows 10 Microsoft recommends upgrading to Windows 10 GET YOUR FREE UPGRADE Learn More". I have to "x" out of the ad each time. My current GWX Control Panel says, "No traces of the Get Windows 10 app, Windows 10 upgrade settings, or Windows 10 installed files found." My current operating system is Windows 7 Professional on a Dell PC. Is there anything else I can do to block the Windows 10 ads? 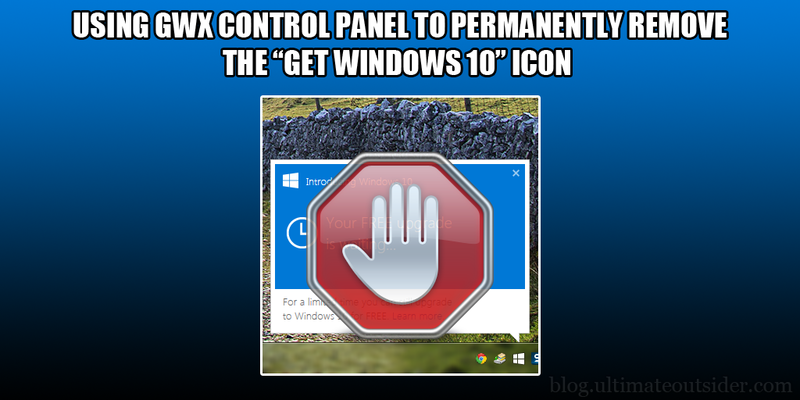 GWX Control Panel is for removing the Get Windows 10 icon, deleting unwanted Windows 10 files, and recovering the Windows Update control panel from being hijacked by Windows 10. It doesn't control what you can see inside web browsers. But if you're seeing something different, please let me know. I use Firefox to work on the Internet. Perhaps the ad is embedded there? Or could my Norton Security Program be invisibly installing or restoring something that I don't want restored? I will try to pay more attention to the circumstances and environment that the ad is appearing in. Thank you very much for your program. I know you have helped many people avoid the Windows 10 hassle. @JBlogger- Yeah, if you can capture a screenshot the next time you encounter it, I'm really curious to see what's going on there. As a (possibly related) note, last week I was helping someone set up a brand new computer that came with Windows 10 pre-installed. I installed Firefox for her, and the first time I launched it there was a huge Microsoft Edge browser ad covering the whole viewable area of Firefox; Microsoft actually injected an Edge ad into a third-party browser. So bad. I'm actively looking for new Windows 10 symptoms to squash on Win 7 and Win 8 though. It looks like the culprit is the MSN web page. When I sign out of Hotmail, I am sent to the MSN page and the "Get Windows 10" ad pops up (once a day for each Hotmail account). AdBlocker Plus has not been able to block the Windows 10 ad on the MSN page. I guess my solution will be to close out of Firefox when I am done with my email, rather than signing out of Hotmail normally. It will actually require fewer key strokes. Is there any reason I should not do that? I installed your program and now Microsoft says I'm not running genuine windows on my 5 yr old Dell. Neither Microsoft nor Dell can fix it without reinstalling Windows 7 but if I do I lose all my applications. Do you have a fix since your program caused it? From searching around it sounds like there are a number of potential causes and fixes to this problem you're having, but it seems like this thread might be a good place to start. Please consider adding command line switches to GWX so it can be auto-run at system restart. I'm not one that wants ever-more processes running constantly on my machines and servers. I much prefer a manual launch at system restart time. @Bruce - A command-line version is a frequent request. I am considering it for a future release. Thanks for this sharing this tremendous tool!!! Is this what the 'Delete Windows 10 Programs...' is for before I run it? @Cazman - Yes, that's exactly what the Delete Windows 10 Programs feature is for! This is just feedback on 1.7.0.2 and it is good news. @Todd - Yep! The "Delete Windows 10 Programs" feature will kill the GWX folder (and the related Tasks folders) if it manages to delete all the files. Hi, I installed GWX control panel, and updated it once, but the Windows 10 invitation is still appearing, and GWX says app is not running, not enabled, not allowed, not installed, folders not found, but GWX monitor mode is on and running. The Win 10 invitation appears not always but about half the times I boot up. I am on win7 professional. @vssimo - Can you please take a screenshot of the invitation you're seeing? You can post it to a free image host like imgur or email it to me at the address you see when you use my program's "save diagnostic info" feature. It might be something new or different. Also, note that if the invitation you're seeing looks like this, that's not something my program can fix because that's sent from Microsoft's servers into your web browser. Hi Josh. I'm just checking back to remind you that the link to the User Guide for GWX Control Panel, posted here: http://ultimateoutsider.com/downloads/, still directs people to the August 30, 2015 User's Guide and not to the newer December 29, 2015 1.7 User Guide. Of course, the link inside the 1.7 GWX Control Panel software also directs us to the August 30, 2015 User Guide, but I realize that can't get fixed until a new version is released. No need to reply, unless you want to. Thanks for all your efforts in staying on top of the Pesky Windows 10 Upgrade. @Steve - That's actually by design. Last week I finally updated the main post (the August-dated one) with all the latest info. I had various technical and editorial reasons for drafting the 1.7 docs in a separate post, but I have since merged all the 1.7 info into the master post, which serves as the overall GWX Control Panel landing page. Thanks for keeping an eye out though! Hi, I was just wondering (and afraid) I know answer. how does one know what updates to install? and which to ignore? as a person who knows nothing of such things as updates ) I have read the descriptions on them, and might as well be in another language on some of them. prob to complicated for a productive answer. anything they are trying to do with win 10? upto this newest gwx version of course. @bigjoet - GWX Control Panel will catch all known traces of Windows 10 and give you ways to neutralize the threat. If Microsoft changes their approach I might have to push updates to deal with them in the future. As for specific updates that are good to avoid, these are the ones I'd definitely block: 2952664, 2976978, 3035583 (the first two are Win 7 and Win 8 versions of the same thing, so you won't see both offered on the same OS). great to know gwx will catch em, I will def look for those you mentioned. I also just noticed an update that is "windows malicious software removal tool for windows8,8.1 10 and windows server 2012,2012R2 x64 edition January 2016 (KB890830)"
not sure if you knew/know this. or if important or not. just wasn't sure if should stay away as it has win 10 in description. at least compared to most others. I see that now.....If I had just scrolled down a bit, i would have seen this myself. You're busy enough....... Sorry 'bout that! Thank you Josh, you are truly a life saver. OK now to the really important stuff I have been saying I am going to make a donation a few times now, due to twin 8 year olds interrupting at the most opportune time's and re-directing my attention elsewhere, frying the few cells I have left upstairs so I forget what I was doing/going to do. I want to make a donation TONIGHT the little guys are going to Zzz land soon, can you tell me where I make the donation I do not have facebook/paypal. and I LOOK FORWORD TO DONATING for your most generous efforts and time put in to helping all of us suffer a little/lot less. Bless you my good man Bless you. Looks good, but clicking on "Display the User Guide" results in only "Error 31 attempting to launch your browser. isit blog.ultimateoutsider.com for help." @Chaa006 - That means the program couldn't figure out what your default browser was. Depending on how your computer's set up this could actually be a permissions issue. If you quit any instances of the program and re-launch it WITHOUT using "run as administrator" it should work. If that doesn't work, it might be something non-typical about your PC's browser setup. Yes, "run normally" (as opposed to "Run as Administrator") does indeed allow the "Display the User Guide" button to function correctly; how odd ! Excellent ideas . Apropos , if people is requiring to merge two images , my kids encountered a tool here http://www.AltoMerge.com. I know it is a cat and mouse game with Microsoft and their ways to get users to update to Win 10. 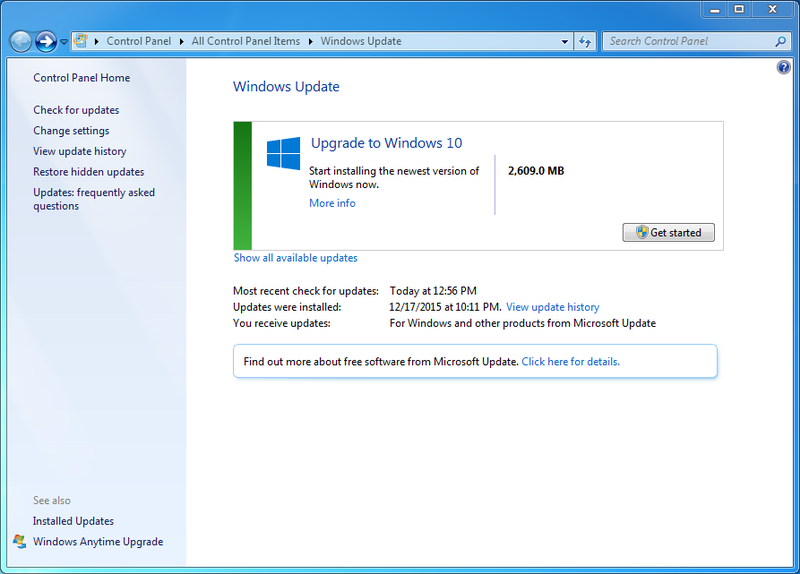 On or about Jan. 12, Microsoft released KB2952664, entitled "Compatibility update for upgrading Windows 7". If you go to: https://support.microsoft.com/en-us/kb/2952664 , the Introduction will say this: "This update helps Microsoft make improvements to the current operating system in order to ease the upgrade experience to the latest version of Windows". 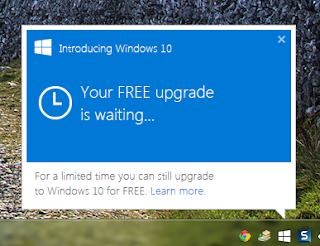 I did NOT download this, but I assume that it is another trick to get folks to upgrade to Windows 10. I post this in case Ultimate Outside, and readers of this blog, have not seen it. Love the new working on the Enable Updates, etc (Click to ...). I got messed up a few times on the old way and so did one of my customers. @Todd - I had a eureka moment a couple weeks ago when I got a couple confusing emails from users, and I finally realized- "Oh man! Some people think the button text is a status rather than a command!" No idea how many people might have been confused by that. The "Click to" seemed like a simple way to reduce ambiguity. I'm glad it's helped! A friend has installed your program on my notebook. Now I want to upgrade to Windows 10 and chose the close the display option to disable it. The GWT logo reappeared but nothing happens when I try to install it. My friend is out of town and I´d really like to get it solved. @Mari - I've got instructions on how to upgrade to Windows 10 at the FAQ, under "I HAVE USED GWX CONTROL PANEL IN THE PAST BUT NOW I'M READY TO UPGRADE TO WINDOWS 10. WHAT DO I HAVE TO DO?" > @Todd - I had a eureka moment a couple weeks ago when I got a couple confusing emails from users, and I finally realized- "Oh man! Some people think the button text is a status rather than a command!" No idea how many people might have been confused by that. The "Click to" seemed like a simple way to reduce ambiguity. I'm glad it's helped! I was thinking of writing you about the issue, but could not think of any better way of stating it not not just be a complainer. What you came up with was elegant/inspired. I am may steel it from you if I ever get Tcl figured out in Perl! Could you explain what the preferred changes are that will be made when one "Click(s) to prevent Windows 10 Upgrades" ? The output file from "Save diagnostic info" and user guide aren't really clear about this. I have BITS running (manual), Cryptographic running (Started Automatic), Windows Update not running (disabled by my choice), Software Protection not running (Automatic Delayed Start). Windows update prefs "check but let me choose" and DisableOSUpgrade "missing or disabled". I think there's an update required for the DisableOSUpgrade to work (under Win 7) but I could be wrong. So if I "Click to prevent Windows 10 Upgrades" what exactly is going to change? Thank you so much for your effort. It is greatly appreciated. @D*mn You - The "prevent upgrades" feature sets the DisableOsUpgrades value and also sets AllowOsUpgrades to 0 (which affects how the GWX/GWXUX tools behave), although some PCs have background tasks that will quietly reset the latter to 1 unless you do something to stop it. There's more information about these settings here. All versions of GWX Control Panel from 1.3 have used these settings (among others) but in 1.7.1 I broke it out so that the "prevent upgrades" button only deals with things directly related to the upgrade, and moved some of the peripheral Windows 10 settings to the "disable non-critical settings" realm. Some folks might have to disable those settings to resolve stubborn Win 10 issues. Thank you so much for the response. I read your link. So "Click to prevent Windows 10 Upgrades" just adds/changes those two registry values. Are there desired settings for the BITS, Cryptographic and Software Protection services? I wasn't sure why they were in the diagnostic info. For those of us willing to forego Windows Updates, am I wrong to think disabling the Windows Updates service offers more security re: this Win 10 threat? Microsoft is the greatest threat to my otherwise stable & locked down system (firewall, antivirus, AdBlock Plus, spywareblaster). I can't remember the last time I had an issue from the outside. Windows ME maybe. @D*mn You - I include the status of those various services listed in the diagnostic info report to help me if someone reports a problem with Windows Update. They're services that my program sometimes has to stop or start in order to apply some settings for different operations. If you do use Windows Update, all three of those services (in addition to the Windows Update service) must be enabled and running in order for Windows Update to function across the board. If you choose not to use Windows Update, then disabling them is probably okay. I've noticed that the Windows Update and Software Protection services are pretty poorly behaved... in a fresh Windows Install they're both supposed to start automatically with Windows startup (although they are "delayed-start" services, so they start after most other services load), but they sometimes just don't bother starting at all, resulting in errors or hangs in Windows Update. My program doesn't cause this to happen; it's just helpful to know the current state so I can advise people what they can do to fix it. I would only advise fully disabling Windows Update if you have a fully locked-down system like you apparently do. I have been using your tool (standalone version) but now I have another lite blue icon with a orange circle. This gives the message that there are important updates available. When I look into this it concerns KB 3035583 which is off course the get Windows 10 app. So microsoft is still pushing us. @Jan - That icon you're describing is not something I've seen or heard about before. Can you please capture a screenshot of that and also send me your "Save Diagnostic Info" report? (My email address is in the report output.) I'd like to know more about what you're experiencing. Fantastisch! It really works. I downloaded the January version installer and used it right away, thus circumventing the older version that I had stored but never used. Perhaps it might be nice to mention the version somewhere on the resulting panel. Or better ask to overwrite an existing older version (which however might not be at an apparent place). Personally I’d love to have a main button for dummies: Clear all nuisances (and monitor future attempts? 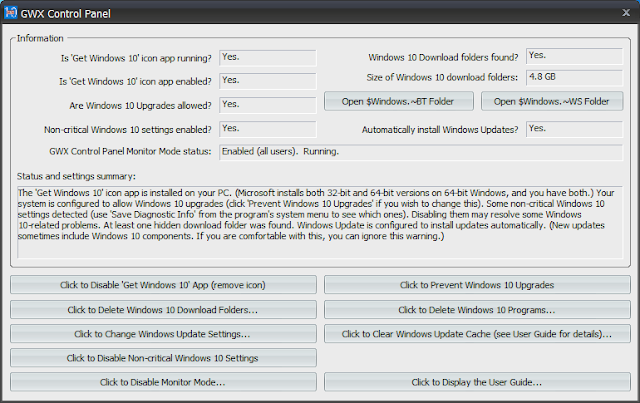 ), set updates to manual install. Do you have someone translating to German? In case pls. write to me directly. @Fritz - Unfortunately I didn't really design the program to be easily translated into other languages. (I never imagined so many people from around the world would want to use it.) I may do another version/variation of the program and if that happens I will make sure to design it so that other languages can be dropped in. 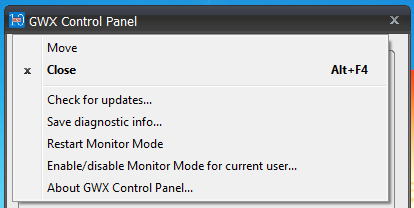 Regarding version number and upgrading, etc, you can see the current program version by selecting "About GWX Control Panel" or "Check for Updates" in the right-click pop-up menus of both the main program window (right-click the title bar) or the Monitor Mode icon. If you use the installer (GwxControlPanelSetup.exe) that will automatically upgrade you to the latest version of the program. Regarding the "main button for dummies" I agree and I do have plans for something similar to that. Is this normal behavior? I didn't see it on previous versions of GWX Control Panel. @Chuck - This file is new with version 1.7.2. Only the "normal mode" of GWX Control Panel writes to that file (not Monitor Mode), so it's only written to when you have a visible instance of the program open. Its contents are included in the "Save Diagnostic Info" reports. The logic might need some tweaking; if you see anything you think is problematic, please send me a "Save Diagnostic Info" report with your concerns. That specific message there is an "insufficient privileges" warning, which may be normal if you haven't clicked any of the functions that require admin privileges yet. Thanks for your quick reply. I checked my Registry with regedit, and noted that no GWX key exists under HKLM\SOFTWARE\Policies\Microsoft\Windows\. I assume that that's good news. And it's not surprising that GWX Control Panel would be unable to open a key that doesn't exist. @Chuck - I would have expected an error 2 ("file not found") but I just deleted that key on my computer here and I see an error 5 for that too. Interesting. Since you seem to be on top of things, if you do use any of the GWX CP features that require elevation, you might find that the "GWX" key magically appears on your system. Worry not though; I actually have to create the key in order to be able to monitor it (but doing this is impossible when the app doesn't have admin rights, which is why you see the errors now), and the "disable get windows 10 app" feature needs that key in order to prevent the GWX icon from displaying if you have it installed. @Josh - So far, I haven't encountered any GWX CP features that require admin privileges (I don't need to disable the 'Get Windows 10' app, since it isn't active on my computer -- hence, that option is grayed out). Nonetheless, even with the absence of the GWX key, and without allowing GWX CP any elevated privileges, I assume that I can still trust its report that no signs of Win10 are detected on my system. Right? @Chuck - Yep, you're in good shape! After using "GWX control panel" I am told that there are no traces of GWX, and I am safe. But looking into the computer with "Everything" I see many GWX related files (usually in various "stores"). The most important observation is that System File Checker "sfc.exe" treats GWX as an integral part of Windows, and using sfc.exe /scannow "repairs Windows" i.e. - brings GWX back! Maybe - this remark can be useful for somebody. A. @Andrzej - The "Delete Windows 10 Programs" feature removes the entire System32\GWX folder that contains all of the program files associated with KB3035583, and it also deletes the associated scheduled tasks, but it might leave some insignificant files around. The SFC issue you mention is because if you let more than one version of KB3035583 install on your system, Windows begins to think of it as an OS component. The GWX Control Panel approach to handling this is to alert you (via Monitor Mode) if it detects the program files/tasks that actually cause Windows 10 problems and give you the chance to delete them. There is more detail about the KB3035583 patch and how it behaves at the troubleshooting guide. I read today that Microsoft is now going to start pushing Windows 10 as a Recommended Update. 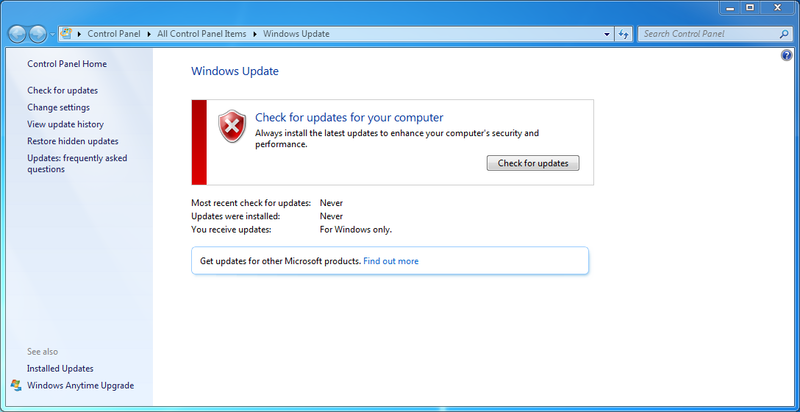 Several sources have suggested deselecting the "Give me recommmend updates..." check box in Windows Update to avoid this. Is this necessary if I'm running GWX Control Panel? @Unknown - From my own experimentation (and some experimenting some acquaintances have done this morning) it looks like clicking "Click to Prevent Windows 10 Upgrades" is all you have to do. Deselecting the "Give me recommended updates" option can't hurt, I guesss? But no, it doesn't seem to be necessary if you use "Prevent Windows 10 Upgrades." I added a new section to this post, "How do I block Windows 10?" that lists the only required steps and things to check for. I'm on W7 and have received 2 updates today : KB2952664, which is well known, and a new one, KB3135445. Do you have informations about this last one ? Mark - We're discussing those patches now at AskWoody.com. I'll have an article up on InfoWorld in a few hours. Bottom line is that you don't want them. If I purchase a new Windows 7 Pro based PC and run Windows Update several times as I normally do on a new machine to get all the applicable updates is there a list of Windows Updates that I should avoid installing in the first place? I'm fearful that this recent push of "recommended" will cause the machine to upgrade to Windows 10 before I even get it fully updated with other issue related patches. I guess I'm asking if there is a mode in GWX Control Panel I can use to let Windows Update install everything but those updates known to be related to Get Windows 10, is there such a mode in your program? I'd like to have your took keep a new PC free of GWX related updates. @Mark - KB2952664 is a patch of zero end-user value, which collects information for Microsoft to use in their Windows 10 campaign. KB3135445 is a tougher call; it's an update to the Windows Update system itself. While it may contain code that facilitates Windows 10 upgrades (since Windows Update is one of Microsoft's install vectors for Win 10), it can also potentially contain required fixes or updates necessary to keep Windows Update working properly in the future. You might not need it today, but there's a chance that it (or updates that replace it) might be mandatory in future. Note that if you have any of the Windows Update options other than "never check for updates" selected, Microsoft reserves the right to push Windows Update client patches (like this one) automatically if they feel it's required for the system to keep working. I do not know if this particular patch meets that requirement in MSs' eyes. @Chris R - Windows Update is terribly complicated (and terribly brittle!) and you really don't want me (or anyone else) poking around in your update infrastructure deciding what to install. As a result, GWX Control Panel takes an "install first, notify and fix later" approach. If you're set up to automatically install updates, GWX Control Panel won't/can't block any known bad updates from installing. What it DOES do is notify you if certain bad files or tasks are found and gives you the ability to neutralize them. At the moment this activity is focused around some specific Windows Update settings and files around the KB3035583 patch, but the next major update will expand the detection/neutralization policy to some other known-bad Windows 10-related updates. So essentially this means to me that a brand new out of the box Windows 7 Pro machine could be turned into a Windows 10 Pro machine before it ever gets fully up to date via Windows Update. I was hoping I could install the GWX Control Panel on that brand new machine and have it block the Windows 10 related stuff from getting on the machine while allowing other updates not related to Windows 10 to install without issue. 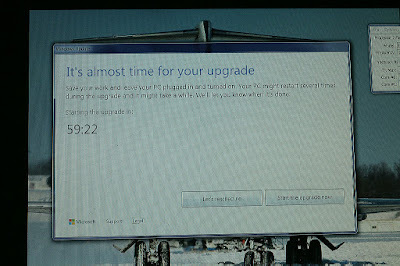 It sounds like I should not bother with that new Windows 7 Pro machine purchase. @Chris R- The Windows 10 operating system upgrade is a different story- I'm sorry if that wasn't clear. If you run GWX Control Panel on your fresh Windows 7 system right now (before applying any updates) and use the "Prevent Windows 10 Upgrades" you will be protected from Windows 10. What I was talking about were things like KB3035583, which present Win 10 annoyances but don't actually upgrade you. Anyway, yes, GWX CP does protect you from unwanted upgrades if you run it before applying all your updates. You may have to disable the Get Windows 10 icon once all your updates are installed, but you won't get an accidental OS upgrade if you use the "prevent upgrades" option first. Thanks Josh it worked great.I downloaded windows 10 on a refurbished Dell 755 and it first locked me out of windows then out of my hard drive. Since it was under warranty I got my 2nd one and knew better this time. The GWX Control panel has solved that. Jerry S.
For Josh; So far this is a GREAT Win10 Upgrade Blocker, I've already installed it on 5 machines. But I'm very certain that Microsoft are already trying to circumnavigate it, and they will NEVER stop. Are you really prepared for these attacks? Directed at you personally as well as at GWX?? Its going to take hourly vigilance on your part to keep up with all the ways they'll try to disable it or work around it, often silently & almost undetectably. It will LOOK as if GWX is working well while it is being invisibly bypassed. If you can protect it against all that, then you'll have earned a good donation from me. I'm watching daily to see how often you update GWX. That'll tell me you're responding to attacks pretty much as they happen. Problem is, if Microsoft just once gets past it, they're IN; so how would you then remove that infection without damaging Windows 7/8 functionally? Because I wouldn't put it past them to sneak in some malware that embeds itself into Windows such that it cannot be removed or disabled without disabling Windows itself. @captvidio - Thanks! I'm glad you're up and running again! @Max - At the moment upgrades are not automatic; you can use the "check for updates" feature of the right-click pop-up menus for the Monitor Mode icon to see if a newer version is available. Future releases might have a more automatic system. @Max - I probably won't do an email list, but hopefully that won't be necessary, since I'm beginning work on an automatic update notification this weekend. Regarding the Forbes story, trust me- I identify more closely with Don Quixote than I do with King David. Microsoft owns the ecosystem and at the end of the day they're gonna do what they want. But for as long as I can I will do everything in my power to make sure that any decisions about what runs on my computer are my own. Thanks, Josh, We can't ask more than that. Just a thought, though, that might get you looking in another direction: Windows Activation 'expires' from time-to-time (is it 30 or 60 days?) and has to be renewed by them at some point, or nags start about "illegal copies if Windows" at the bottom right of the screen. They could, if they wish, simply stop re-activating all Windows 7/8 to try to force the issue. That's a different & more secure area of their Windows code than for Windows Updates. RSVP: Max - BTW I sent you $20.00 via PayPal! I just updated to the latest version (1.7.2.0)and installed the new MS update KB3123862 on a Win 8.1 system to do a test. This update was installed, the system was rebooted but GWXControlPanel didn't detect the installed KB and stated I seemed to be safe. What is the reason that this KB escapes the control? @Bertus - KB3123862 does not (as far as I know) cause any Windows 10-related symptoms or behaviors that are actually visible to end users. The purpose of GWX Control Panel was to let users control and fix visible Windows 10 problems like removing the "Get Windows 10" icon, blocking Windows 10 upgrades, deleting hidden Win 10 download folders, restoring the Windows Update control panel to normal behavior, etc. So at least for the moment, the program doesn't think in terms of "which Windows Update patches are currently installed?" as it does "which settings and files that cause known Windows 10 problems are present?" You can check out the "What it does and how it works" section of the user guide (this post) for a detailed list of everything my program does and doesn't do. If either of the two KB patches you mention is found to actually cause real user-facing problems, then I'll update my program will deal with them. All of the above said, the next version of GWX Control Panel will include optional logic that addresses some of the more nebulous updates like KB3213862, but I will continue to honor end user Windows Update settings. This is what MS says about KB3123862: "The update adds capabilities to some computers that lets users easily learn about Windows 10 or start an upgrade to Windows 10." When I search Google for it I only see warnings not to install it because it is part of MS's policy to push Windows 10 Upgrade. If I correctly understand your reply this KB means no risk? @Bertus - I analyzed that update the day it came out (and so did a couple of my friends) and we couldn't find any actual signs that it does anything bad. We're keeping an eye on it. You almost certainly don't need the patch, so it's likely safe to uninstall/block. But I haven't spotted any bad behaviors from it yet. OK. One more question: can a new version be installed over an existing previous one or should the previous version be uninstalled first? Thanks for keeping our software choice free. @Bertus - If you use the installer (versus the stand-alone) the setup program automatically upgrades you; you don't have to uninstall first. Best to make sure no other users are currently logged in to the PC though. There are some manual steps to look out for if you're running stand-alone. The "a note about upgrading" section of this post covers that. I just installed the app and it appears to work great! Thanks! Do you know WHY Microsoft is pushing Windows 10 so hard? After all, it's free. Jim Wick asked : "Do you know WHY Microsoft is pushing Windows 10 so hard? After all, it's free.". Obviously I don't know (and I suspect that no-one outside the inner circle at Microsoft knows for sure) but I /suspect/ that they have become a victim of their own success, and are finding that no matter how many update servers they deploy, demand continues to outstrip capacity. And Windows 10 supports peer-to-peer updates, which once ubiquitous will result in an enormous reduction in load on the primary update servers. That's my theory, but of course I may be completely mistaken. @Jim - Microsoft is going head-to-head with Facebook, Google, Samsung, and Apple on many fronts, and Windows 10 is the key to that. The operating system has a built-in search engine which they can use to harvest user data, and their increasingly onerous development guidelines (which third-party developers need to follow in order to get various certifications) are pushing users to their Windows Store ecosystem. Their Windows Phone play isn't panning out very well, which is all the more reason for them to double down on Windows 10. Just checked the MS February 2nd Tuesday patch list: IMO KB3123862 may be a tricky one. MS indicates it "modifies" upgrade facilities for Win7 and 8.1 systems. PS Is this a new version of tricks MS once pulled inside KB3035583 ? I was given a brand new pc for Christmas which had window 10 and it was nothing but HELL! It ruined the computer and conflicted with the AMD chip. Nothing worked right on it. I returned it and gave my father the full refund. He fully understood since he wasnt so fond of 10 either. He then informed me I could still get a laptop if I wanted. I just spent over a month since Christmas to be exact trying to find the best windows 7 laptop out there in a reasonable budget frame. My newly bought PC was less than 16hrs old when I saw that damn windows 10 icon hunting me. It was on my pc for a total of 3 mins when I wasted no time hunting the net for ways to remove it. @donthuis - I know that KB3123862 patch sounds sketchy but so far we haven't found any bad behaviors or programs associated with it. @D.C.G. - Glad to hear your new PC is up and running (and nag free)! I am using GWX Control Panel , not to prevent Windows 10 loading, but to prevent the November update to build 1511 loading because that update, which I have loaded on 5 separate occasions, always stops me from controlling the brightness of the screen and I can find no other remedy than to revert to the position before trying to install the November update, which I do by using a recent disk image. Since I started doing this in November 2015, it seems to have worked well, but I am wondering if I am still getting other essential Windows system updates. I seem, subjectively, to have had very few recently. Can you advise me? 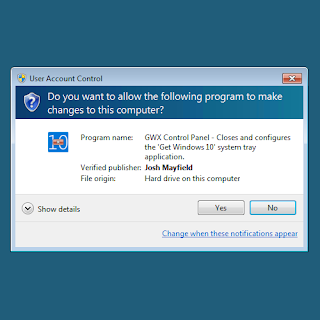 @John - GWX Control Panel honors your desired Windows Update settings. If you can generate a "Save Diagnostic Info" report for me and send it my way (instructions in the report) that would help. There are instructions on how to do this in the above post.